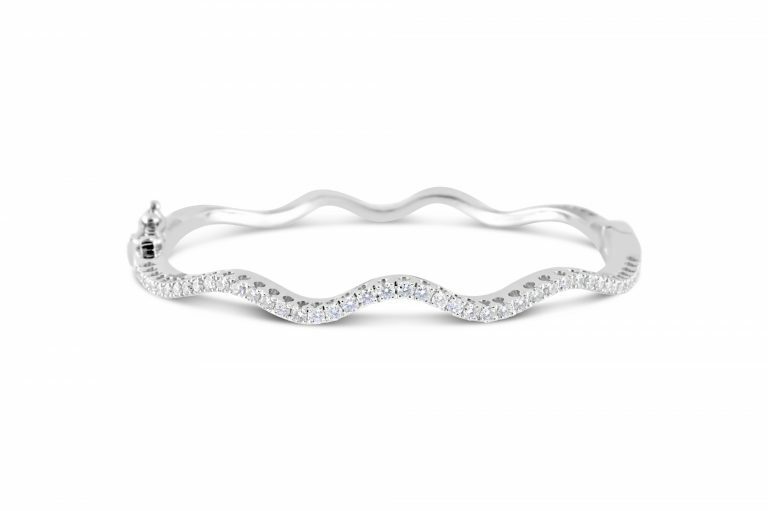 Attractive wavy diamond bangle 14kt white gold bracelet. It contains 84 round diamonds, total weight 1.25 carats. 6″ diameter. Perfect for thin small wrists.